You already know peanut butter and bananas are a match made in heaven, but add De Wafelbakkers Pancakes and you've got a real dream team! Perfect for breakfast, lunch or an afternoon snack to power through the day, this energizing sandwich just might be your new go-to grub! Slice banana into thin slices, about ¼ of an inch thick. Heat up 2 De Wafelbakkers Whole Grain Pancakes (according to the package). 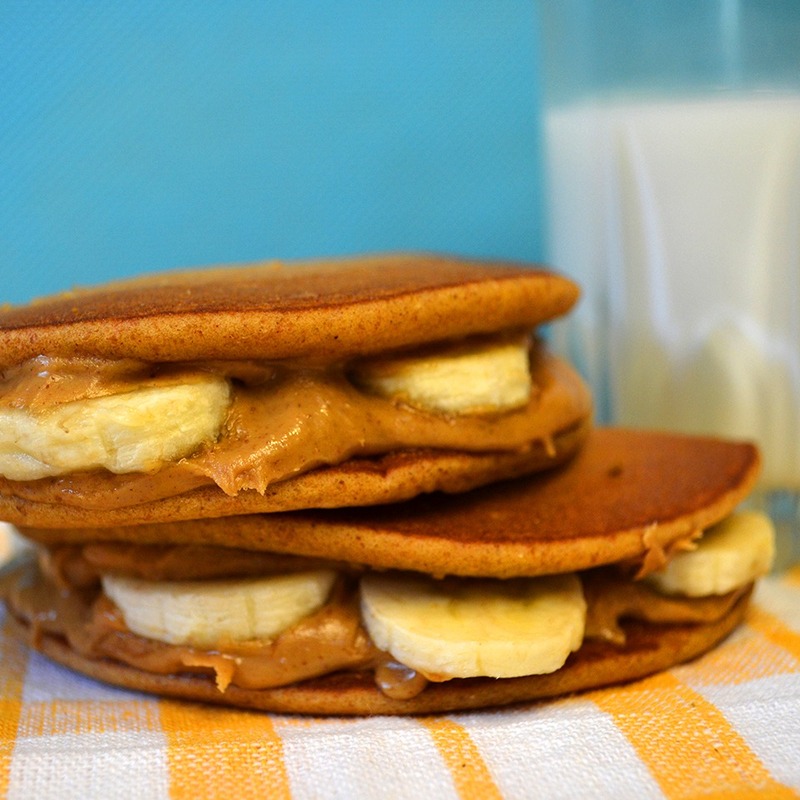 Let pancakes cool for 1-2 minutes, then spread both with peanut butter and top one with banana slices. Place your second pancake on top to complete the sandwich and dig in!